This next to the last myth from Your Money God’s Way by Amie Streater is one that really hits home for me. It really describes where my wife and I were not too many years ago. You can read more about our story at here. This sixth myth is that we can put off dealing with our finances until tomorrow so that we can enjoy today. Thomas Stanley, author of Stop Acting Rich, calls these people the Income Statement Affluent. People in this category have good jobs. They live in fancy houses. They drive expensive cars. They wear the latest fashions while hanging out in the best social circles. They look like a million bucks. Problem is, they have no retirement savings. Their credit cards are maxed out. 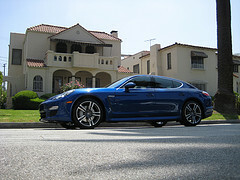 Their home and cars are leveraged to the max. They are one paycheck away from disaster. They are counting on tomorrow’s pay to cover today’s spending. Maybe you aren’t quite to this level of excess, but are you spending tomorrow’s money? Do you have an emergency fund to cover the unexpected? Are you saving toward retirement? Are you planning for your kids’ college education? What would happen if you didn’t get any income for a week? A month? A few months? It’s important to remember that a little conservation now can result in huge benefits in the future. I’m not saying you have to live like a pauper, just make sure that you have a plan for the future that doesn’t involve bankruptcy or relying on Uncle Sam to take care of you.